On July 1, 1906, Chicago & Northwestern box car No. 39010, loaded with gypsum at Empire, caught fire near Reno. While not totally destroyed, it was severely damaged. When railroads wreck a car from another railroad, they are required to either fix it or purchase it. Such it was that the Virginia & Truckee came to own box car No. 1015. C&NW car No. 3910 was built in 1893 as a 40 foot long furniture car, large for its day. By 1906 it was not considered overly large, and was in general box car service. It was delivering a load of ore from Tonopah, but would not fit through the Chollar tunnel in Virginia City. It was subsequently emptied and reloaded with gypsum for its fateful trip from Empire. As was the V&T practice, the burned C&NW car was sent to the Southern Pacific shops in Sparks for repairs, but owing to the large amount of SP work already there, they were unable to do the work, so the V&T concluded to purchase the burned car. 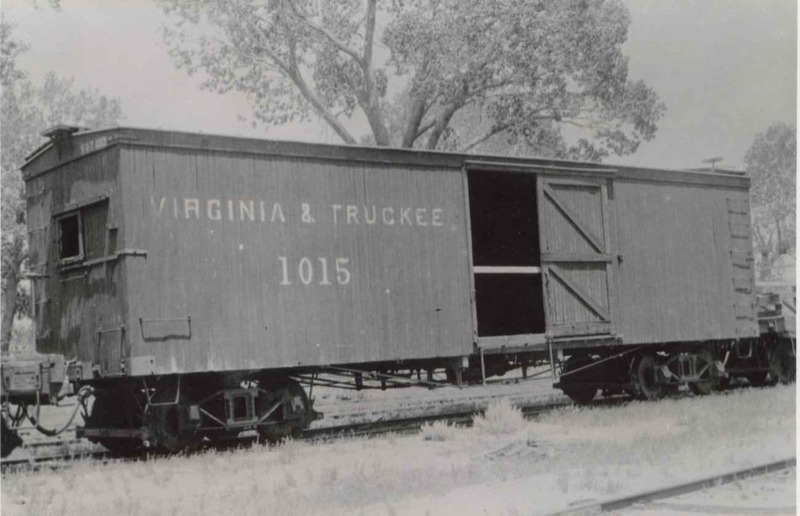 After paying the C&NW $308.74 for the damaged car, it was rebuilt in the V&T Carson City shops and emerged on October 1, 1906 as V&T box car No. 1015. It served in general merchandise service for online shipments until the end of the railroad. 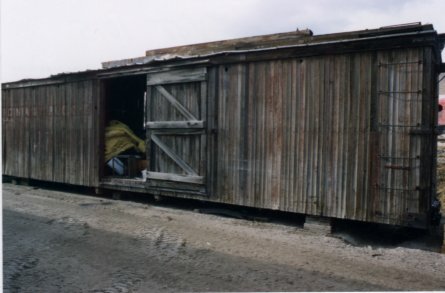 The body was sold as a storage shed to a local ranch, where it remained until 1983 when it was acquired by the Nevada State Railroad Museum for preservation and eventual restoration.